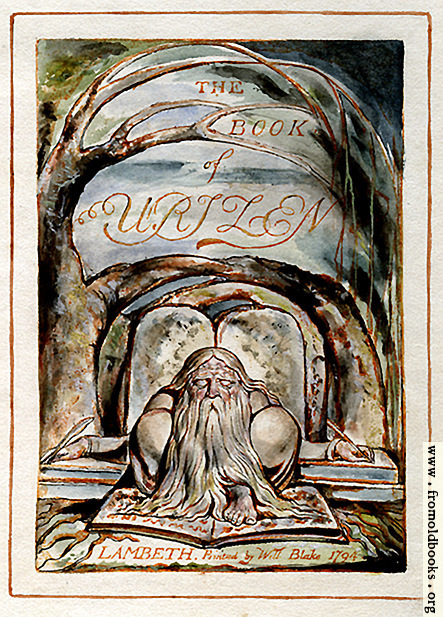 A long-haired man, seemingly naked, squats on top of an open book, his beard covers all except his knees and one bare foot. His outstretched hands, both left and right, each hold a quill and are writing; he keeps his place in the book with his foot. Behind him two tablets remind us of Moses and the Law.